Double chocolate almond cookies for breakfast? Yes, you can! 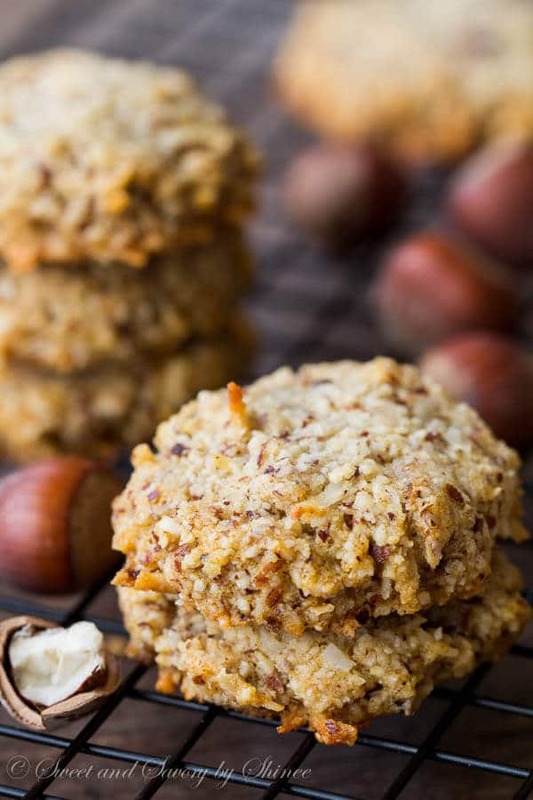 Super quick and easy, these gluten-free, processed sugar-free, dairy-free, eggless cookies are irresistibly chewy and delicious!! Cookies for breakfast anyone? And chocolate ones to boot? 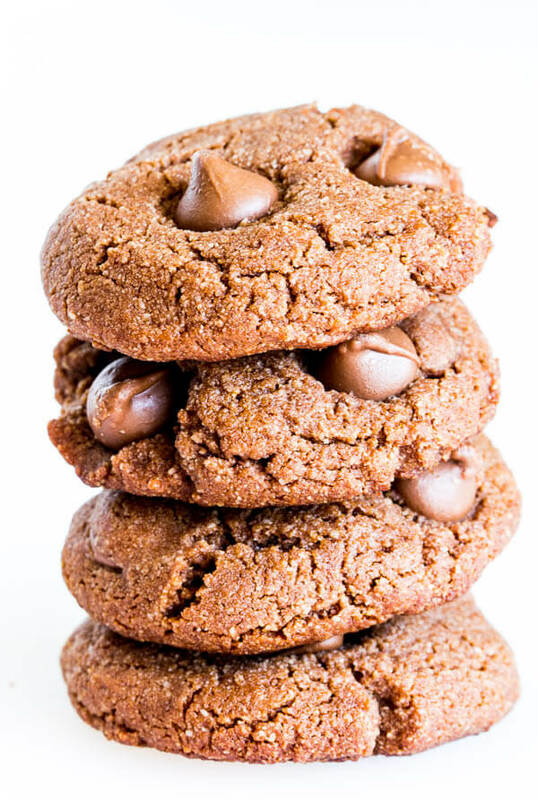 These cookies don’t have anything guilty, except for a little bit (1 cup isn’t much, right?) of chocolate chips! Basically, these are my popular almond cookies on steroids loaded with chocolate. All I wanted was something healthy and that won’t make me feel guilty eating 5 cookies in a row. Because, you know, I have no self control around cookies! Can you relate? Well, as you can guess from my obsession with macarons, I have endless supply of almond flour in my pantry and it was a starting point for these amazing treats! 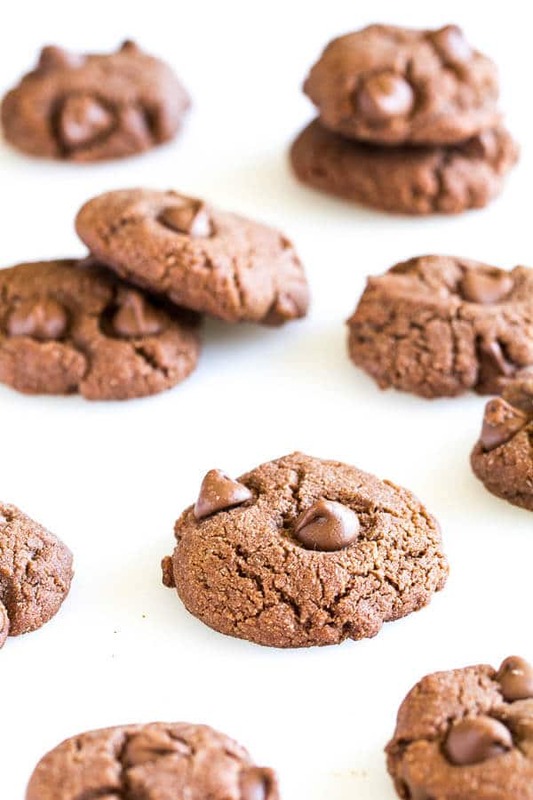 Naturally, I decided to create perfectly chocolate-y version of my favorite cookies. Lucky for me, it was just a matter of adding a little bit of cocoa powder along with plenty of milk chocolate chips. 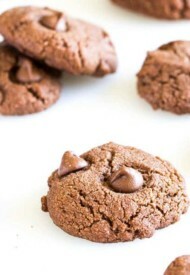 Oh, you’re so gonna love these chocolate cookies! Let me describe it for you. Each bite is satisfyingly dense and chewy, undeniably chocolate-y, and not overly sweet. Plus, you won’t feel guilty for reaching for your 3rd cookie! And did I mention how easy it is to make these? 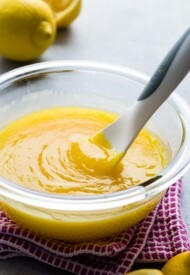 You’ll only need one bowl and a cup to mix the batter. And it takes literally less than 10 minutes to whip up a batch, and another 10 minutes to bake them goodies! No chilling, no waiting, very few dirty dishes. All the points for winning cookie recipe, right? 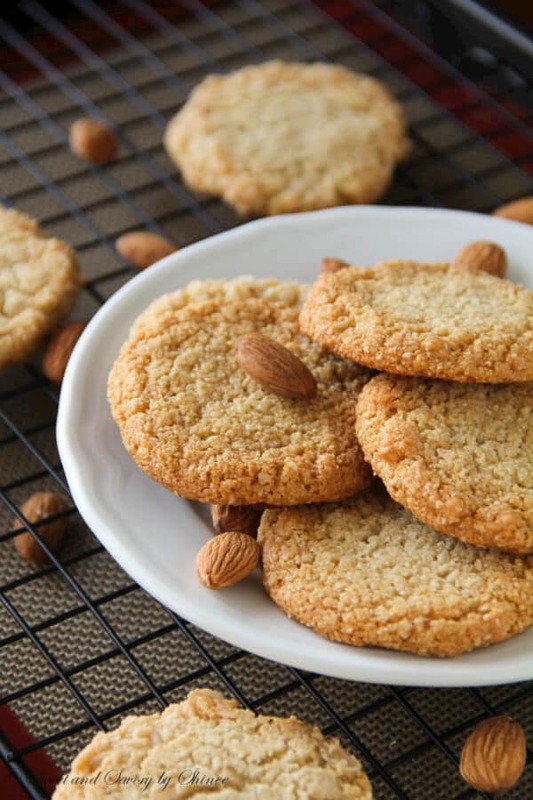 As a proof, here’s a short video to show you just how quick and easy these almond cookies are. By the way, how do you feel about these videos instead of step by step photos? Let me know in the comments. Hope you’ll give these cookies a try soon. And let me know if you do! As always, thank you for reading. 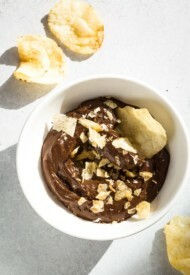 In a medium bowl, whisk together almond flour, cocoa powder, baking soda and salt. Using a medium cookie scoop, shape the dough into 1-inch balls and place 8-10 cookies per baking sheet. If not using non-stick pan, line the baking sheet with a parchment paper. Flatten the cookie dough balls, and place couple chocolate chips on top, if desired, for perfect look. Bake for 8-10 minutes, or until the cookies look done. The cookies are quite fragile as they come out of the oven, so cool for 5-10 minutes on the baking sheets first, and then transfer onto wire rack to cool completely. Store the cookies in airtight container in the fridge. For video demonstration and additional notes, read the post above. can you replace the honey with something else? Yes, you can use maple syrup. Absolutely delicious! The consistency is perfect and flavor is magic. Thank you for sharing! Wow, the recipe looks really simple and waiting to try it out soon. Was wondering if the coconut oil could be replaced with melted butter . Hi, Sonu. I’ve never used melted butter in place of coconut oil, but you could give it a try. Hi, Joy. Yay, sounds like ours are pretty similar cookies. Hope you enjoyed the chocolate version. Thank you for your feedback! Just made these. Olive oil subbed for coconut oil. The batter was just wet enough with 5 tbls. oil. Flattened out before baking. Gurl- these are delish! I tasted the wet batter which was good, but melty chocolate chips are far better. Very chewy, lovely. Awesome. So glad you loved these cookies, Kristie! And thanks for sharing your feedback! 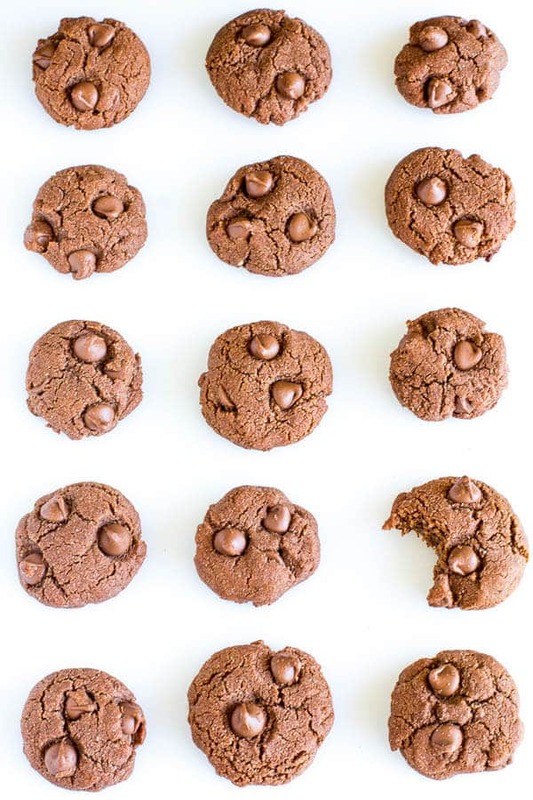 These look like delicious chocolate chocolate chip cookies! They are delicious. 🙂 Thanks, Renee! These are super, Medha! Glad you liked these.